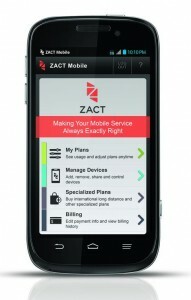 Best Buy Mobile Specialty Stores Introduces Zact Mobile!! Are you like the rest of American households who have cut the landlines in their homes and replaced it with a smartphone (or two or four), only to end up with painfully high monthly bills? Best Buy proudly introduces a new option to those obnoxiously high monthly bills- a no contract smart mobile service with nationwide coverage. 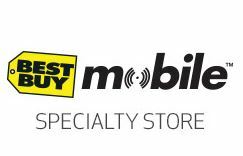 Zact works off the Sprint network and allows customers to pick their voice, data and texting plans a la carte and Best Buy Mobile Specialty Stores are the exclusive U.S. retailer to offer the Zact smart mobile service. 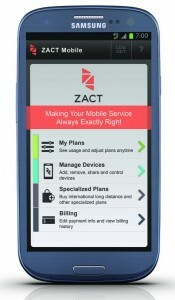 Zact is a no contract smart mobile service with nationwide coverage that lets you completely customize and save-right from your device. You will save BIG with Zact simply because you only pay for what you use and you actually get money back toward your next month’s bill if you don’t use all of your service. In fact, the average bill with Zact is $22 per month. You can share any Zact plan such as the same pool of talk, text and data with our family without having to pay any heft line fees. And most importantly, Zact gives parents peace of mind by providing them with the option to set allowances on the amount of text, talk and data, set curfews, set allowed or blocked contacts, and control which apps your child has access to. 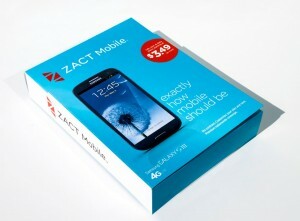 Until now, customers could only buy Zact online at their website , but now they’ve partnered up with Best Buy Mobile specialty stores to offer it exclusively in local stores. See a short video about the plan HERE!